I have been blessed with time to craft! I completed this months DT projects so now it is play time until my hubby puts me back to work. 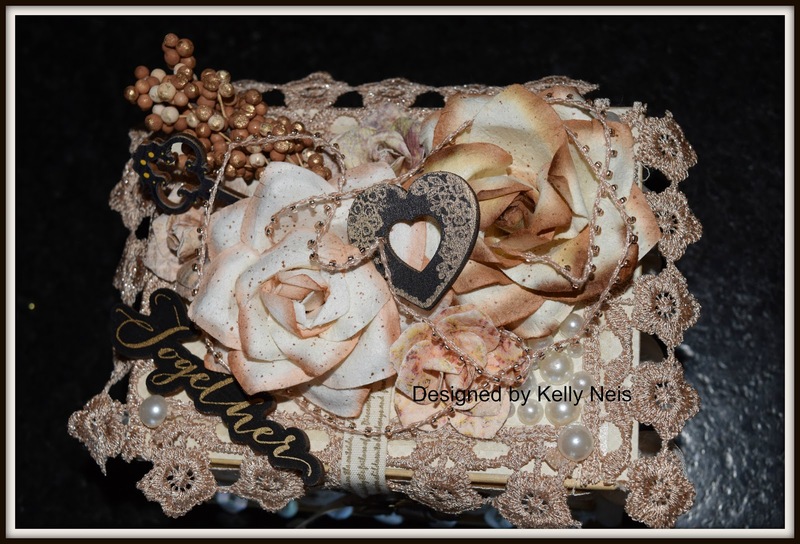 I took Pions Vintage Wedding Collection and a G45 box and made a gift for a newly wedded couple. Or as my daughter said, I just want the box. lol I love the vintage wedding couples and their dresses in the collection, mine was 6x6. 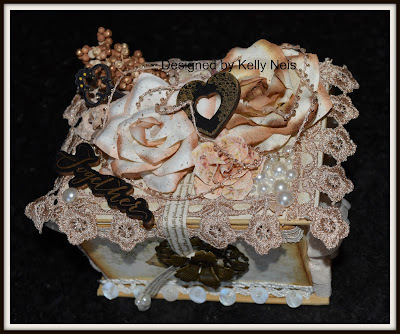 Here is top front view, I have mostly Prima flowers and wooden embellishments from them on the top. The lace is from Spellbinders. 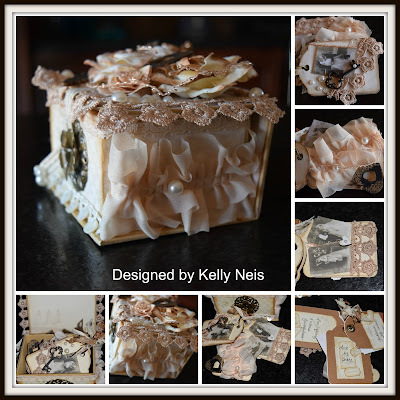 It opens up and I included 3 tags which have the vintage wedding couples and lace on them. On the back of each tag I listed 3 Fruits of the Spirit to help a marriage along. I made a collage of the tags and box from different angles if you want to look it over more. 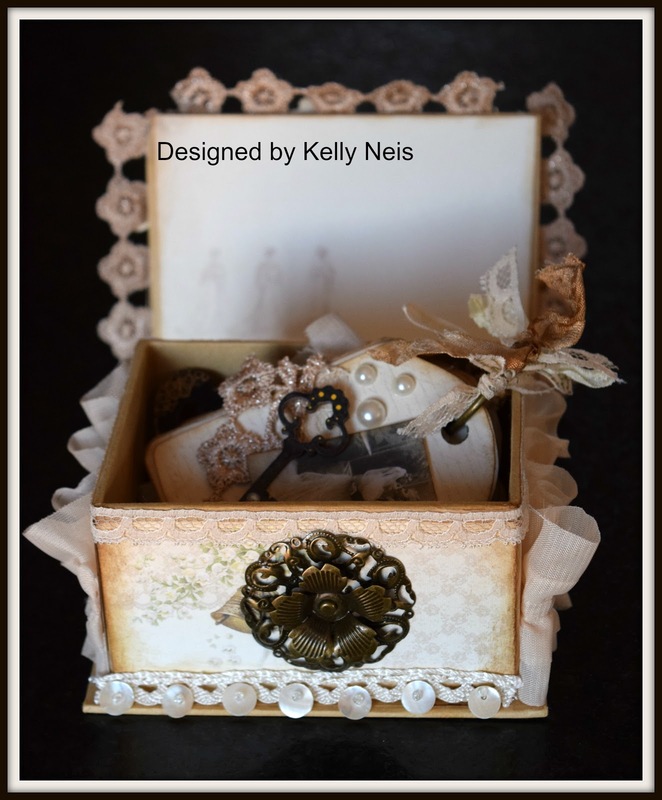 I hope you enjoyed my box as much as I enjoyed making it. Have a wonderful day! What a gorgeous treasure you have created! The perfect place to store all those little wedding keepsakes we want to save. What a lovely shabby box with gorgeous decorations. Love the colour scheme as well. Thanks for linking up to the LLC challenge. Gorgeous! Thank you for playing in our challenge at http://www.7kidscollegefund.com.